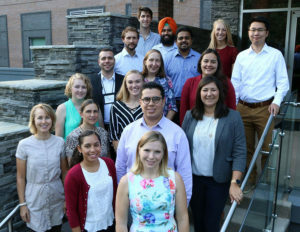 The FFAR Fellowship Program was established to provide professional development and career guidance to the next generation of food and agriculture scientists across the Foundation for Food and Agriculture’s Challenge Areas and strategic initiatives. The consensus among employers is that U.S. universities could better prepare a career ready STEM workforce by breaking down the disciplinary silos and increasing the focus on professional development and “soft-skills”, which would result in more well-rounded graduates. By providing early career support to graduate students, the Fellowship cultivates supportive relationships between graduate students and industry peers to equip students with the skills needed to facilitate their transition to the workforce and prepare future leaders for food and agriculture. Fellows will be co-mentored over the 3-year program by university and industry representatives and engage with their peers in professional development programming both virtually and at the annual one-week residential sessions. 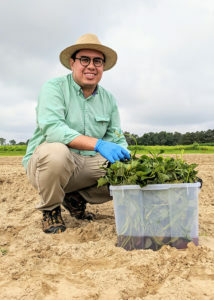 The FFAR Fellowship Program is lead by the Academic Programs Office at the College of Agriculture and Life Sciences at North Carolina State University. Meet the 2018 FFAR Fellows! The Foundation for Food and Agriculture Research is pleased to announce the 2018 FFAR Fellows! This year, FFAR awarded 17 fellowships to students across the country. Each Fellow is supported by an industry sponsor, which funds half of the student’s expenses to their professional development program over a three-year period. Cohorts of 16 Fellows will be selected to begin in 2018, 2019, and 2020. Cohort members will be together for three-years as they continue through their graduate program. Each Fellow is supported by an industry sponsor, which funds half of the student’s expenses related to the fellowship’s professional development programming. For the 8 stipend fellows, industry also funds half of the student’s stipend, fees, tuition, and related costs. The remaining half of these funds are matched by the Foundation for Food and Agriculture Research. All fellows receive professional guidance by one or more mentors from their sponsoring organization, in addition to their faculty advisor.